To book a consulting appointment, please email us at sales@thebarefootspirit.com or call us at 707-484-1600. 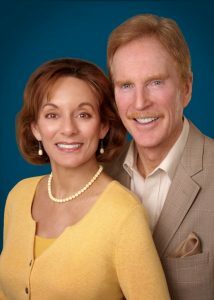 Michael Houlihan and Bonnie Harvey have more than 25 years of real world business and marketing experience. Starting in their laundry room with no money or industry knowledge, they bootstrapped a novelty wine with innovative strategies to overcome obstacles and create new markets in the highly controlled, competitive wine industry. Barefoot is a top global brand. They pioneered game-changing marketing concepts such as worthy cause marketing, saving a fortune on expensive commercial advertising; while creating a profitable model of performance-based compensation. They successfully monetized their brand equity, winning many coveted awards along the way. “Michael & Bonnie were my business mentors and the key success for my business platform. They helped define and organize my financial strategies and goals. They have been tremendously important to connect me with the right strategic partners within my industry. They have such a great attitude and are not only professional but also fun to be around. Atmani Tours offer the premium Sonoma Wine Country experience.” -Hermine Baker, CEO/ Founder, www.atmanitours.com. For the Wine Industry: Michael Houlihan teams up with industry veteran, Martin Jones to provide proven value to wineries and other wine industry companies. If you are interested in learning more about Houlihan and Jones, Wine Industry Consulting, please visit: http://houlihanandjones.com/ or share your information below.